Presents opened, breakfast consumed, kids occupied, looking for a small break? 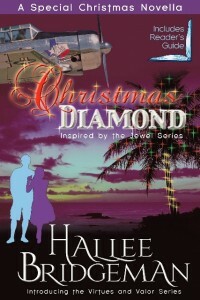 Christmas Diamond, the novella inspired by the Jewel Series and introducing the Virtues and Valor Series, is the perfect little quick-read escape. If you’d like to download a FREE read, but don’t want to deal with online distributors or creating accounts, Christmas Diamond is available on this website at this link. You can download it directly from me, or you can follow the links on that page and go to your favorite distributor. I hope you enjoy the story! I would love to hear from you if you’ve read it. This entry was posted in 5. Christmas Diamond, Blog and tagged Christmas, christmas diamond, free read, novella, the jewel series, virtues and valor series. Bookmark the permalink.